The digital revolution has transformed the way we live, and now it’s set to change what we expect from our healthcare providers. According to the McKinsey Digital Patient Survey, more than 75 per cent of all patients expect to use digital healthcare services in the future. And that’s not just among your younger patients—the survey also revealed that digital-service use is expected to increase across all age groups. From virtual health management to 3D-printed prosthetics, the healthcare industry is rapidly embracing a wide range of new digital technologies to meet this shift in consumer expectations. New technology also promises to help healthcare providers deliver better patient care and find new process efficiencies to reduce the rising cost of healthcare in the face of Australia’s ageing population. However, it seems the dental industry is arriving a little late to the party. “I personally think that embracing digitisation is slower in the dental industry compared to other industries, not just in Australia but everywhere else in the world,” says Dr Wilfred Koon, principal dentist at The Point Dental in Victoria. Britten cites time, money and knowledge as the common barriers many dentists say prevent them from adopting digital technology in their practices, with resistance from the front desk as a key obstacle. So what does today’s digital dental practice look like? Dr Frank Farrelly at Darlinghurst Dental in Sydney runs an almost entirely paperless practice that focuses heavily on the use of digital tools to improve patient care, customer service and to streamline processes for staff. “Our medical history forms are completed on an iPad, we offer online appointment bookings live from our website 24/7, and we use SMS notifications with auto-read replies to confirm appointments,” he says. Farrelly and his staff manage all these tools through cloud-based practice management software that functions as the central nervous system of the practice. Most practice management software essentially combines a CRM (customer relationship management) database and financial management tools with data tracking that provides extensive reporting on key performance indictors that the practice has deemed important, and integrates with a range of communication and marketing applications. “Practice management software has come a long way, and most of them are now very user-friendly and affordable,” says Dr Koon. “At The Point Dental, we use Oasis software. The function we find most useful is the ability to send appointment reminders via SMS at the click of a button, and because it is integrated within our appointment book, patients’ responses are automatically sent directly to the appointment book, which makes scheduling more streamlined. Practice management software also makes marketing your practice much more effective, which David Britten says is vital to your success in the modern business environment as practice owners must think of themselves less as dentists and more as entrepreneurs. But becoming more business-minded is easy with good practice management software that helps you build better relationships with your patients without the need to invest in specialist marketing staff. 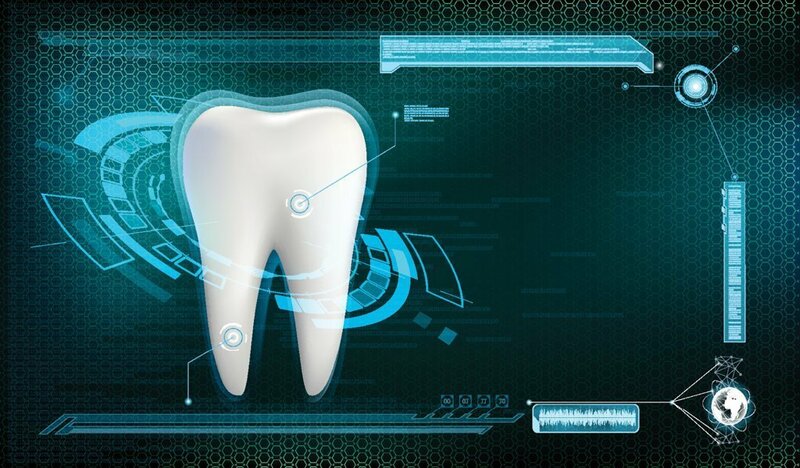 Using practice management software to improve your customer service and expand your marketing efforts is one thing, but many dentists also use a range of digital tools to improve patient care. “I would say having digital X-rays—both intra-oral and extra-oral—and a digital SLR camera is the minimum standard of care for any dental clinics that want to practise good dentistry,” says Dr Koon. Dr Koon’s practice will also soon become the first dental clinic in Australia to use the Morita Veraview X800. Dr Farrelly also uses digital X-rays and intra-oral cameras, which are not only vital for delivering high-level patient care, but also impacts the brand of his practice. “If the practitioner is not up to date in technology, patients may question if you are up to date in other areas of dentistry,” he says. I completely agree with Dr Koon, without utilising the technology available to us it would be taking dentistry back to the dark ages. I would also add that the minimum in any practice would to also have a 3D X-ray [yes this is a luxury, but definitely worth having] – the amount of chronic issues discovered helps avoid doing treatment that could potentially fail and is a great educational tool for the patient.